Open Sunday 11-18 from 1-3 pm. Terrific, move-in ready 3 bedrooms 1-bath Clintonville/Beechwold Cape with a private fenced backyard and detached 2-car garage. Neutral colors and character throughout. Living room features a gas log fireplace, wood mantle, and built-in shelves. Kitchen with eating area overlooks the backyard paver patio – perfect for summer entertaining. Convenient full bath with neutral tile. Two first floor bedrooms with large closets and hardwood floors. The large 2nd-floor bedroom features a walk-in closet and neutral decor. Large lower level for storage, laundry and more. Hot water tank (2016). 2-car garage with opener and one off-street parking space. 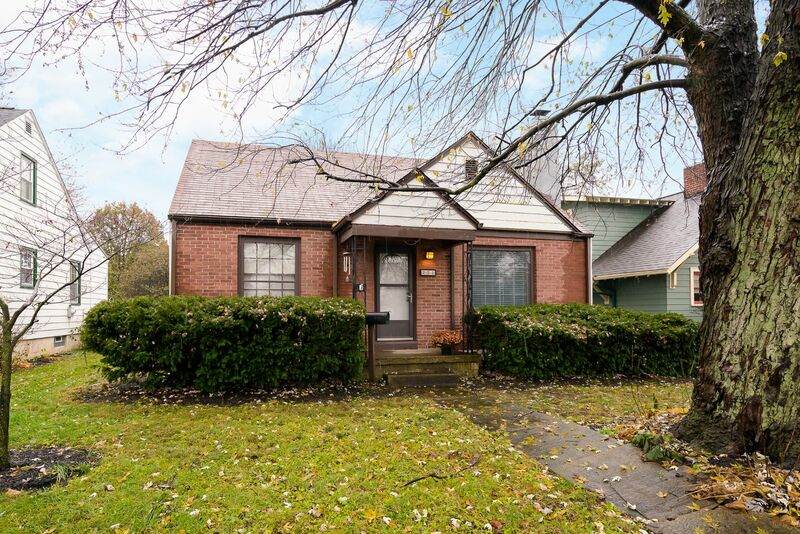 Excellent location w/ easy access to Easton, Polaris, Downtown, OSU, and public transportation.